Anesthesiologist & clinical pharmacologist Richard Ruffalo was the star expert witness for both the prosecution and the defense during Murray Pretrial. Mr. Ruffalo is indeed exceedingly erudite in his field and his testimony was paramount in understanding the medical aspects of Michael Jackson death. Deputy prosecutor David Walgreen had sent Richard Ruffalo a 281 page file containing the autopsy, timeline of events, pictures, Conrad Murray interview and various other materials relating to the Trial. However, the report by coroner anesthesiologist was excluded from the autopsy that Mr. Ruffalo received so that he could provide an independent and unbiased assessment. Mr. Ruffalo prepared a 47 page report. Mr. Ruffalo detailed a list of deviations by Conrad Murray from the standard of care. 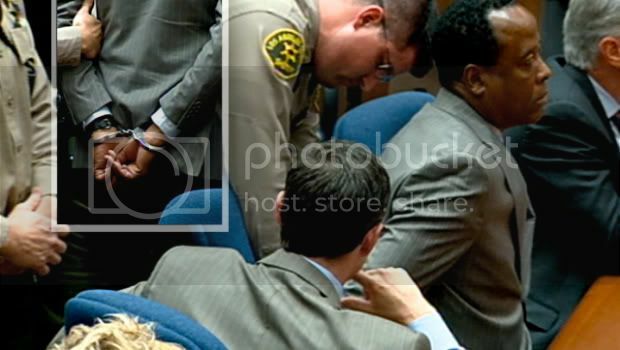 On June 27, 2009, two days after he killed Michael Jackson, Conrad Murray –along with his attorneys, Michael Peña and Ed Chernoff- met with two LAPD detectives (Orlando Martinez and Scott Smith) at Marina Del Rey Hotel. Murray’s statement was taped and later transcribed. Mr. Ruffalo was sent the transcript of this interview. In aforementioned interview, Murray stated that when he found Michael in distress, his heart rate was 122. I do NOT believe that Murray is being truthful. Normal heart beat is 65-80 beats per minute. 122 beats per minute is extremely high. So Murray's claims that Michael had a “weak pulse” while he had 122 beats per minute are contradictory. Mr. Ruffalo deducted that since Murray didn’t have an EKG monitor, he must have picked up this reading from the pulse a oxymeter. Mr. Ruffalo stated that the heart rate of 122 is good because it means that Michael had circulation. IF Conrad Murray really checked Michel's pulse, he checked with manually with his fingers, NOT via pulse oxymeter. Alberto Alvarez testified that after he hung up with the 911, he and Murray moved Michael to the floor. Right before moving Michael to the floor, Murray placed the finger pulse monitor on Michael’s finger. So the oxymeter wasn't attached on Michael's finger when Conrad Murray first found Michael. For argument’s sake, let’s stipulate that Michael Jackson indeed had a weak pulse. chest compressions with that” testified Richard Ruffalo. You NEVER do chess compressions on someone with pulse. The first thing Murray should have done is to ventilate (provide Michael oxygen). Autopsy report stated the oxygen tank in the room was empty and the non-breathing tube was not attached to the oxygen tank. Michael was having respiratory depression which led to cardiac arrest and eventually his death. 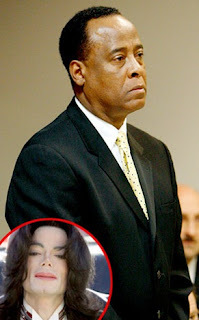 Had Conrad Murray provided oxygen to Michael then immediately took him to UCLA, Michael Jackson would have been alive. Christopher Rodgers performed Michael’s autopsy & ruled his death as homicide. DAVID WALGREN: Your finding that this was a homicide was based on what? CHRISTOPHER RODGERS: It was primarily based on the care that Mr. Jackson received. Specifically that the care was substandard. DAVID WALGREN: You mean the care provided by Dr. Murray? CHRISTOPHER RODGERS: Well, the first would be that a physician should NOT use Propofol for insomnia unless it is indicated. In this case, the use of Propofol for insomnia is NOT an indication. The second issue is that when you give a drug such as Propofol, you have to be prepared to treat the complications. There can be difficulty in breathing or obstruction of airway. You need to be able to treat the patient, if necessary, by intubating the patient. In addition, the information that we received indicated that the doctor left Mr. Jackson while he was anesthetized. This is something that you would NOT do. DAVID WALGREN: Why would you not leave your patient under anesthesia? 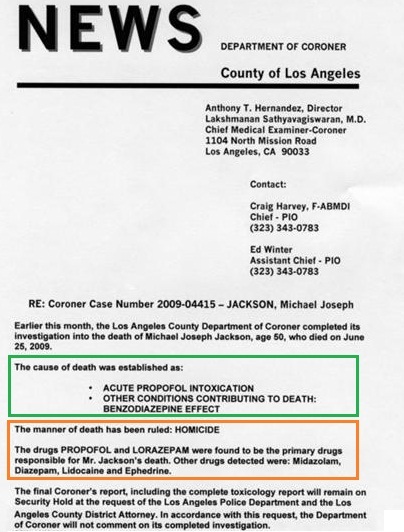 Michael’s cause of death is acute propofol intoxication with benzodiazepine affect. Propofol alone at home setting without proper equipment is deadly. Murray upped the danger level by administering powerful benzodiazepines (Lorazepam & Midazolam). “Is Propofol indicated for the treatment of insomnia?” asked the prosecutor. “Absolutely not” replied Richard Ruffalo. 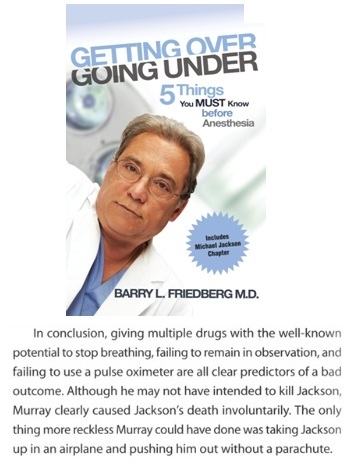 Mr. Ruffalo stated that when Murray found Michael in respiratory depression due to benzodiazepines, the dose of Flumanezil he claims to have administered is a “very very small dose”. The proper dosage is 5 to 10 times what Murray claimed to administer. Flumanezil is an antagonist used to reverse the effects of benzodiazepine overdose. Murray claims he administered 0.2mg of Flumanezil upon finding Michael in distress. DAVID WALGREN: What did you ask him? THAO NGUYEN: Did you try to reverse the effects of Atavan? DAVID WALGREN: What did he tell you? did you use any drugs to reverse the effects of Lorazepam? MICHAEL FLANAGAN: What is that window of time? the patient was in distress, not when the patient was already dead. At the first sign of distress, there would still be a critical window of time. MICHAEL FLANAGAN: Are you of the opinion that Dr. Murray didn’t give any Flumanezil to Michael Jackson? of training should be able to understand” replied Mr. Ruffalo. I would be very interested to ask Ed Chernoff if he would feel the same way if Conrad Murray were to provide the same "treatment" to him or his family. Hospital is four walls with qualified medical professionals whose Hippocratic Oaths aren’t for sale. It is four walls with full oxygen supply and other necessary monitoring & resuscitation equipment. It is four walls with competent medical professionals with proper resuscitation skills. The reason Propofol is administered only in hospital settings is because of how easily things can go wrong and the patient need immediate attention. Plus, the level of equipment needed for monitoring is, normally, only available in a hospital setting. Conrad Murray KNEW that he needed monitoring equipment but he deliberately chose to “treat” Michael Jackson without the necessary medical equipment. And knowing the risk but deliberately ignoring it is the very definition of recklessness; it is implied malice, thus, second degree murder! DAVID WALGREN: Mr. Chernoff asked you about the incident in Las Vegas, as relayed by Dr. Murray regarding Dr. Adams. Do you know what I am referring to? DAVID WALGREN: According to Dr. Murray, at the time with Dr. Adams, Michael Jackson was given Propofol, is that correct? DAVID WALGREN: Whose office was Michael Jackson knowingly given Propofol? DAVID WALGREN: Did Dr. Murray also indicate that he allowed his office to be used for that because he had a crash cart and necessary medical equipment there? DAVID WALGREN: In regard to the Carolwood residence, did Dr. Murray mention any other medical equipment present other than oxygen and pulse oxymeter? During Preliminary Trial, Michael Flanagan downplayed this issue AS IF Murray simply omitted to mention the drugs he gave to Michael which is NOT the case. He LIED! DAVID WALGREN: What did you ask? RICHARD SENNEFF: I asked "is he taking any medications?" DAVID WALGREN: What did Dr. Murray tell you? DAVID WALGREN: Did you follow up with that question? RICHARD SENNEFF: I did because it didn't add up. I repeated it. DAVID WALGREN: Did he tell you any other medicine he gave the patient at all? RICHARD SENNEFF: After he answered, I asked "that's it?" He goes "that's it"
he had given the patient Propofol? Richelle Cooper is UCLA Emergency Room doctor. She testified that while Michael was being rolled into the hospital, she asked Murray "what happened?" He told her that Michael had been working very hard for his upcoming Tour. He was dehydrated and trouble sleeping. He said he gave 2mg of Lorazepam. Dr. Cooper then asked about any other medications he gave to Michael. He then mentioned another 2mg Lorazepam. DAVID WALGREN: The only thing he mentioned was 4mg of Lorazepam? on June 3, 2009. All of these drugs were prescribed by Conrad Murray. THAO NGUYEN: What did you give? DAVID WALGREN: Did you follow up with additional questions? THAO NGUYEN: Did you give any other medications other than Lorazepam? The fact that Conrad Murray hid additional alleged 4mg Midazolam and alleged 25mg Propofol shows that he knew the dangerous synergic effects of the cocktail. Why else would he deliberately lie to his colleagues who were trying to save his patient’s life? “You are not going to necessarily remember what happened an hour ago in certain situations. You record so you can keep track of exactly what’s going on” testified Richard Ruffalo. “If you have a patient who is getting a combination of drugs like this or just Propofol alone, patient can end up with severe problems. You have to be vigilant. You have to be there at all times. If you leave the patient, bad things can happen. No matter what, you are responsible %100 for the safety of that patient” testified Richard Ruffalo. if you just try to do it by yourself and things go bad and you can’t resuscitate him, nobody is going to come help you” testified Richard Ruffalo. So why didn't Conrad Murray call 911? DAVID WALGREN: Did Dr. Murray offer up a reason why he did not call 911? DAVID WALGREN: Did he indicate that calling 911 would be to neglect his patient? DAVID WALGREN: After he told you that calling 911 would be to neglect his patient, did he tell you he took time to make a phone call? DAVID WALGREN: Did he describe in fact that he was holding his cell phone while doing one-handed chest compressions? DAVID WALGREN: Who did Dr. Murray call according to Dr. Murray? It is note-worthy that Murray did NOT ask Michael Amir Williams to call 911. DAVID WALGREN: Did he ask you to call 911? One of the side effects of Propofol is that it inhibits breathing. A machine is needed to breathe for the patient. If Michael indeed had "weak pulse" as Murray claims, he should have attended Michael’s breathing. He should have provided Michael oxygen. Richard Ruffalo stated that one handed CPR was "totally useless”. He testified that if Murray had difficulty moving Michael to the floor, he should have slided his forearm under Michael’s head and slide him off the bed. If the patient needs chest compressions, he must be on a hard surface. Otherwise, all you are doing is pushing the patient up and down on the bed, without really compressing his heart. DAVID WALGREN: For the sake of argument, assume that Dr. Murray gave the benzodiazepines as he admitted in the interview and no more. Just assume this is true. And he then either being on the phone or being in the restroom, allowed a situation where the patient self administered. Would you still have the same opinion as to the levels of departures you have testified to? RICHARD RUFFALO: Well, this would be another extreme departure. From what I read, Dr. Murray was aware that Michael Jackson liked to push it himself. So we have a patient who loves to have the milk and if he felt like he is not getting what he wants, he may in fact, if you leave the room, reach for it and give it to himself. If you allow that, it would be the same taking a heroin addict and leaving a syringe full of heroin right next to him and walk away. It is the same thing. Even if you have a patient you don’t suspect of doing that, it is still an extreme departure. You don't walk away from the patient. a homicide even if the doctor did not administer the Propofol to Mr. Jackson. a chapter titled "Michael Jackson death: Predictable and Avoidable Tragedy". Because of his public statements, Murray can no longer be afforded the customary presumption of innocence"